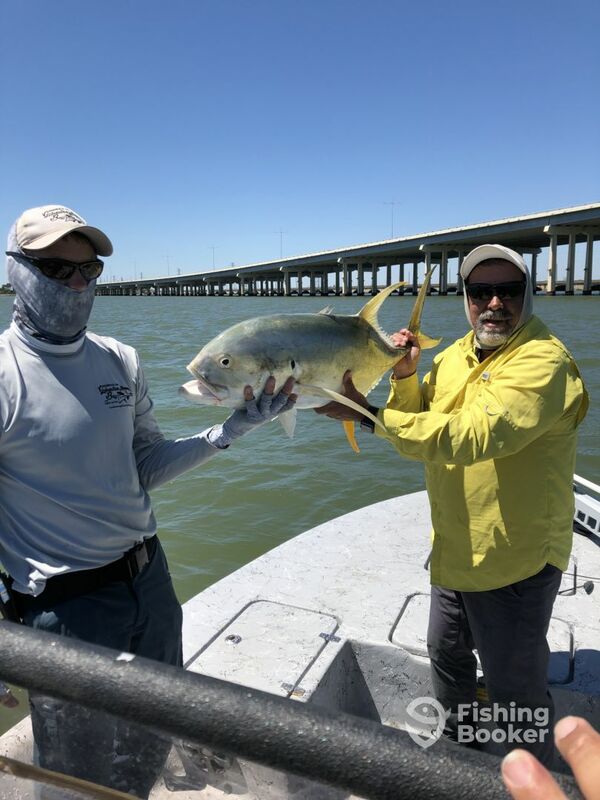 If you’re looking for some Texan sun, exciting fishing action, and gorgeous vistas surrounding you, you’re looking for a trip with Hooked On Galveston Bay Fishing Charters. Captain Jay Durel will put you on the hottest bite off the coast of Houston. Join Capt. Jay on board his 23’ bay boat, made by Haynie Bay Boats. 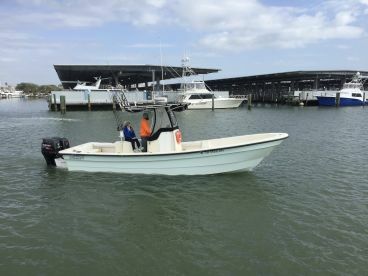 Her shallow draft and hull design, combined with a powerful 250 HP Suzuki engine will get you to your fishing grounds in no time. You can bring several fishing buddies with you, with ample room to angle across the deck. 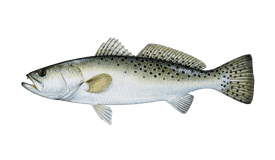 An advanced system of navigation and fishfinding electronics is on board, so you can find your prey and spend as much time fishing as possible. Capt. 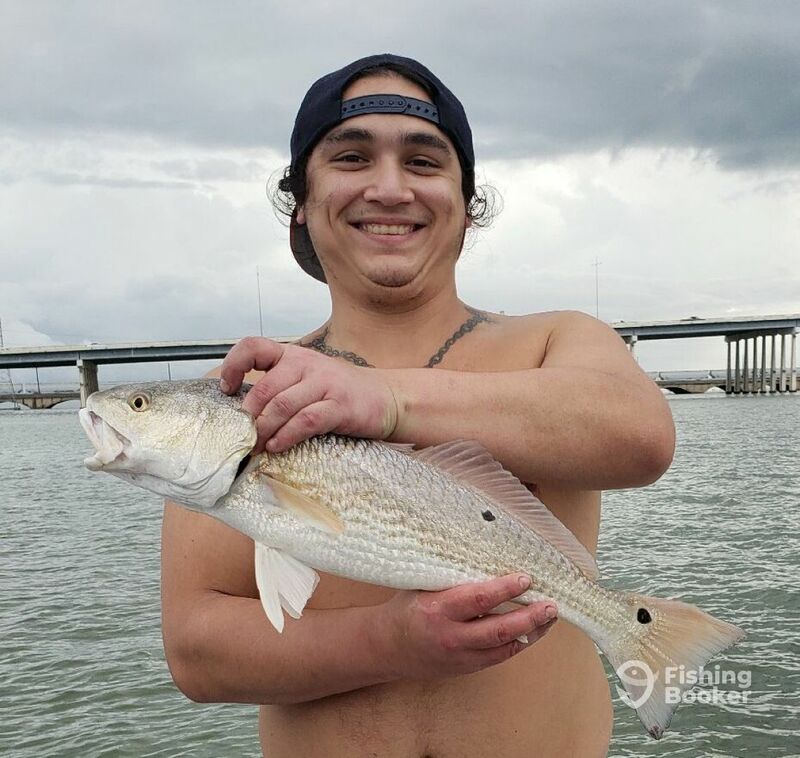 Jay will take you after the A-listers of Texas inshore fishing: Flounder, Red Drum, and Spotted Seatrout. 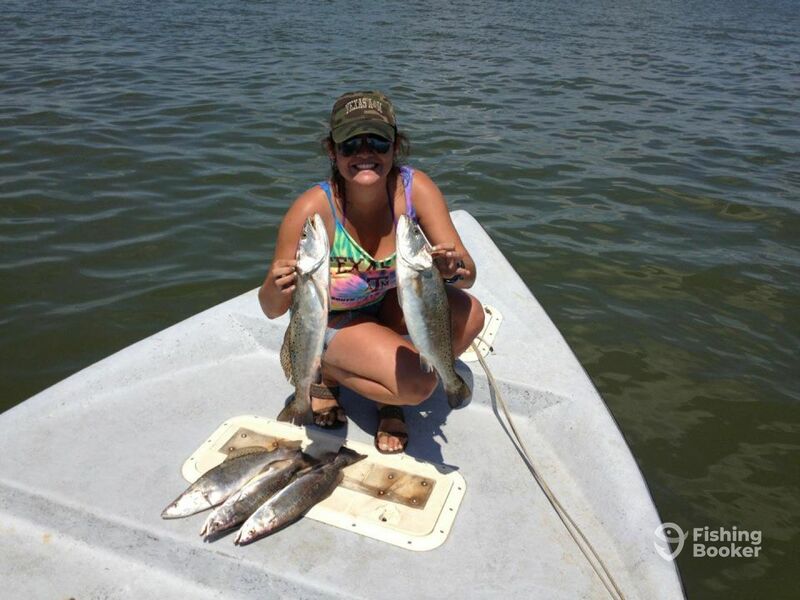 Galveston Bay is one of the finest fisheries on the Gulf Coast and you can land keepers all year round. 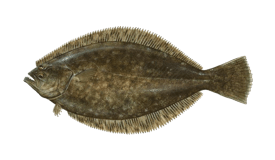 You’ll do drift and anchored fishing, as well as wading if you’re a fan of it. 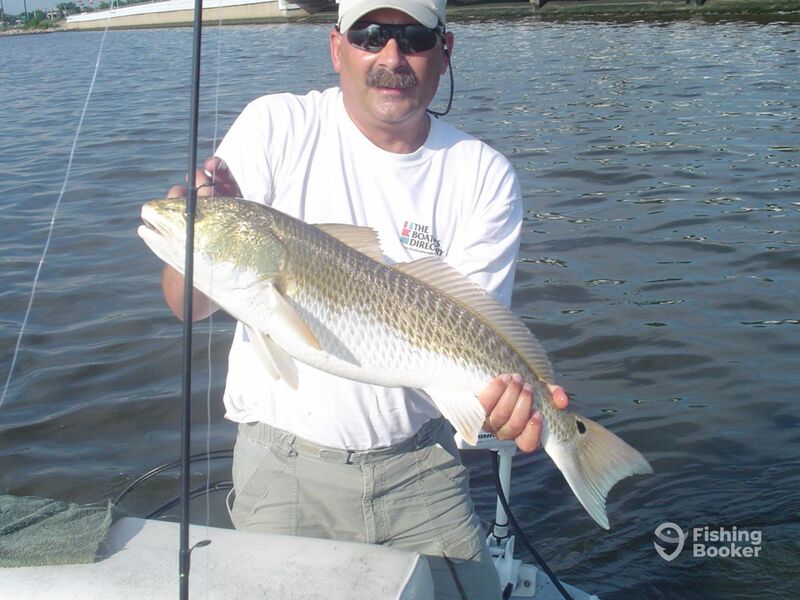 Live bait is available for an extra fee ($30 for live Shrimp) while artificials are included in the price. Kis aged 7 and up are more than welcome aboard; Capt. Jay prides himself on teaching kids all the techniques and getting them fired up about fishing. All life jackets are provided by the charter. 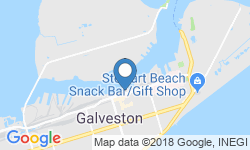 Pickup is available within a 25-mile radius around Dike Road, talk to the captain before arriving to work out the details. 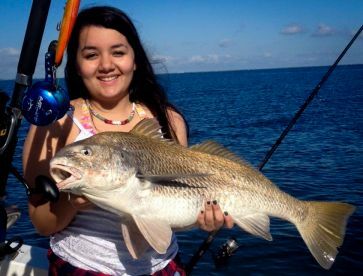 Get ready for a fishing trip you’ll fondly remember for years to come. 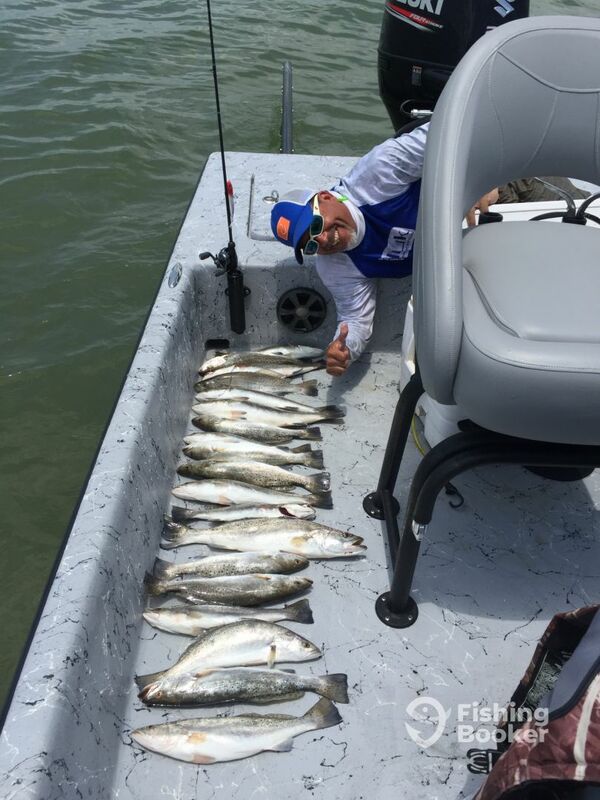 Book a Texan fishing adventure with Captain Jay! 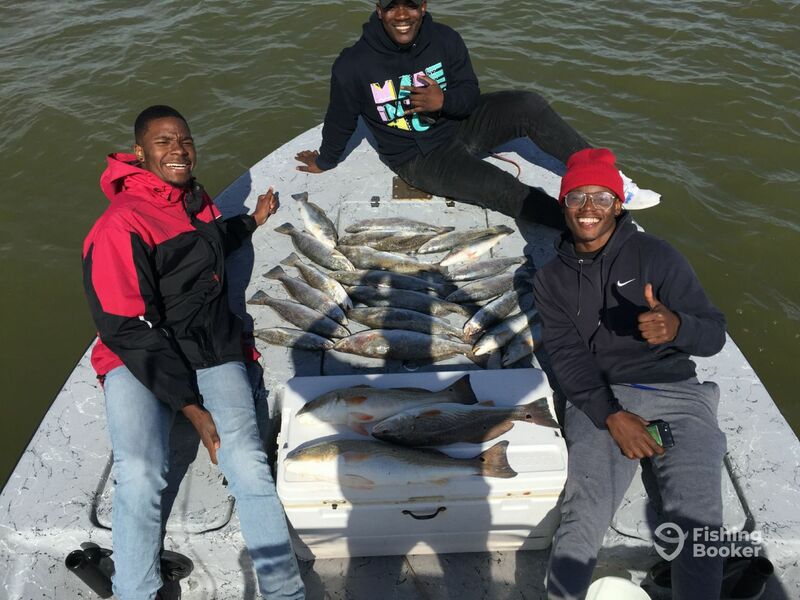 A full day of fishing action in Galveston Bay, that's what this trip is all about! 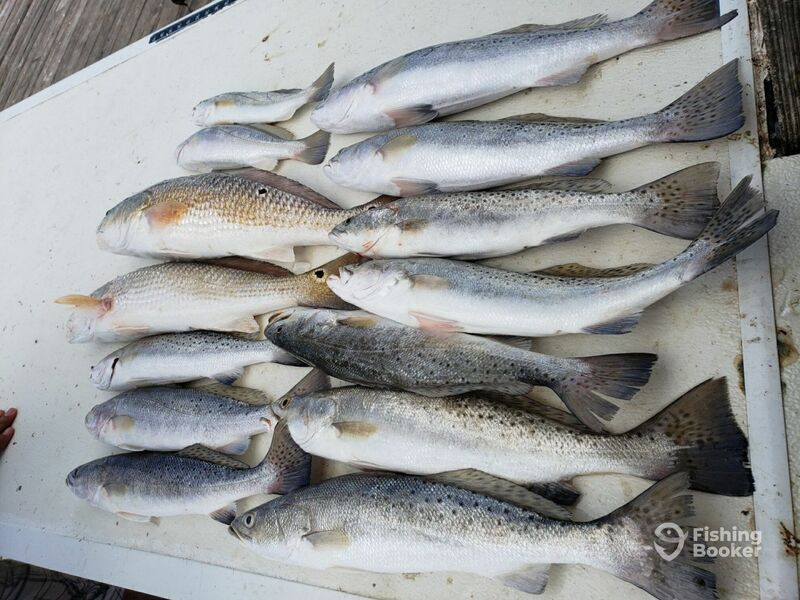 You can target Redfish, Flounder, and Spotted Seatrout. The captain will supply you with all the needed fishing equipment for this trip. 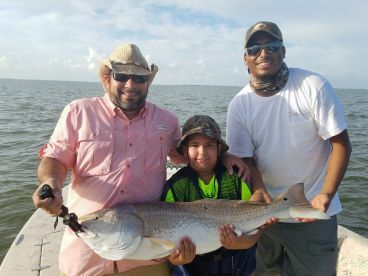 For your safety, this trip is recommended for 3 anglers maximum. Beat the morning traffic and hit the waters of Texas on this 4-hour trip. 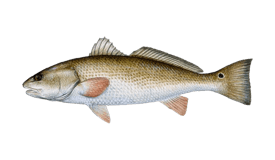 You'll target Red Drum, Flounder, and Spotted Seatrout. You will be supplied with all the required equipment. 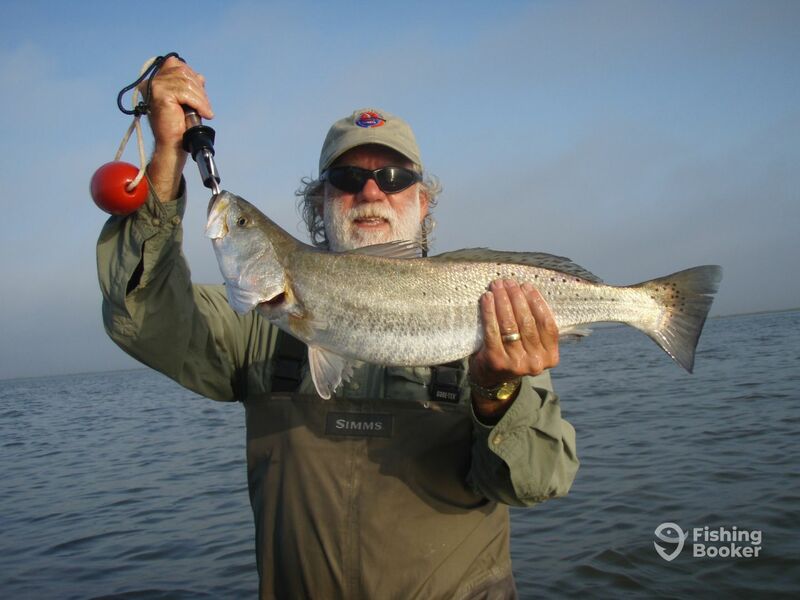 This trip is recommended for 3 anglers maximum. Haynie Bay Boats (Center console) originally built in 2018. Powered by a 250HP Suzuki engine, with a maximum cruising speed of 50 knots. When the captain confirms your trip, FishingBooker charges your credit card a 30% deposit to guarantee your reservation. 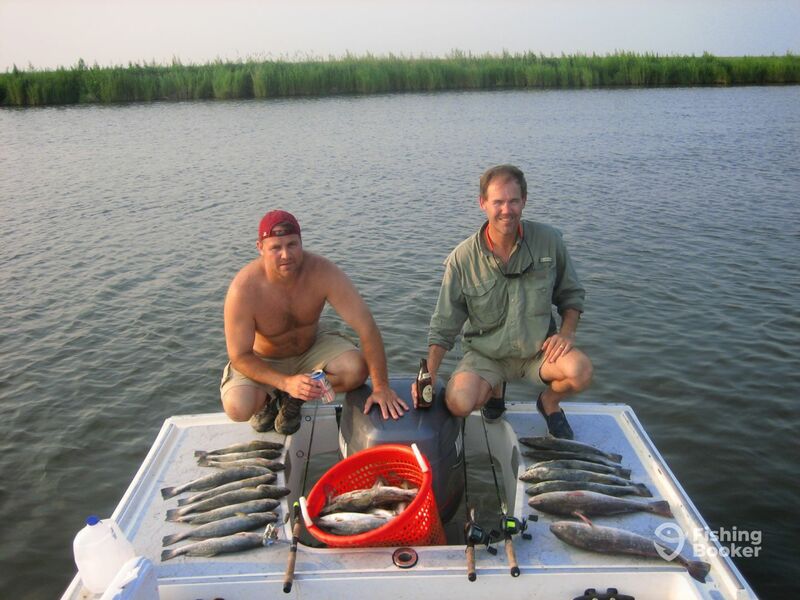 I grew up in Louisiana and my dad was an avid angler. 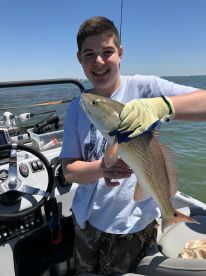 He started taking my 2 brothers and I fishing as soon as we could walk.The three brothers bought our first boat when we were teenagers and we have owned boats and fished with a passion ever since. One still lives in Louisiana and the other lives in Florida. 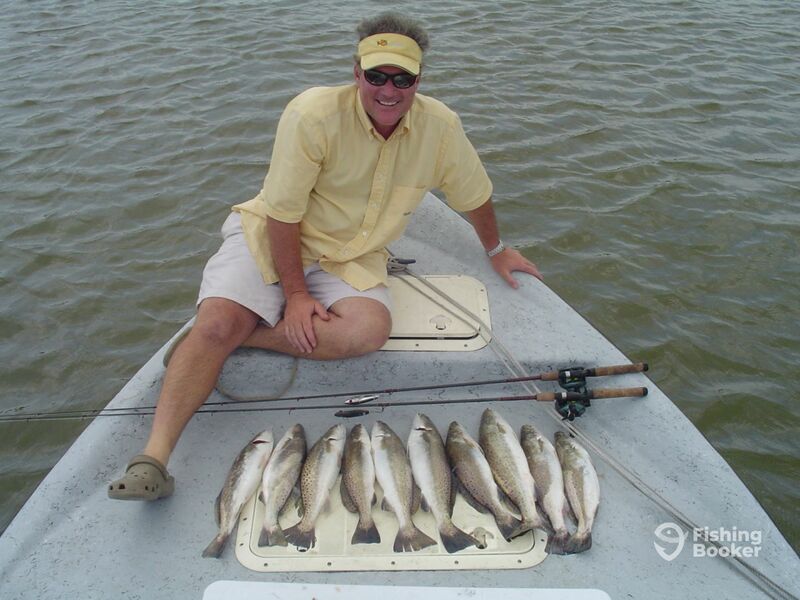 I fish both Louisiana and Florida several times a year and have been fishing Galveston Bay for the last 35 years. I feel blessed to have the ability to use all the knowledge I learned over the years to teach others how to fish. Me and my son and two friends had a great time. 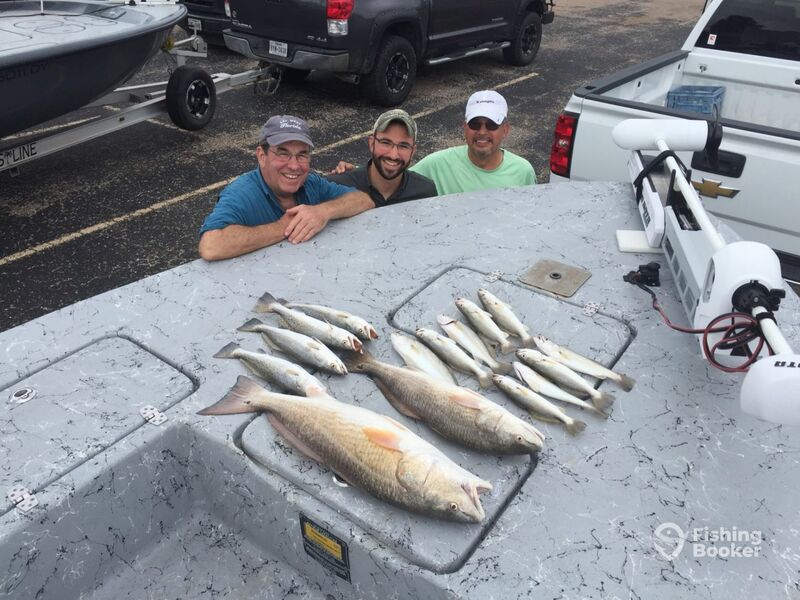 Captain J went above and beyond to make the fishing trip awesome. We will use Captain J next year. Me and my son and two friends had a great time. 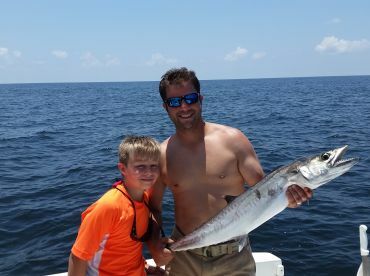 Captain J went above and beyond to make the fishing trip awesome. We will use Captain J next year. Thanks Guys it was fun. 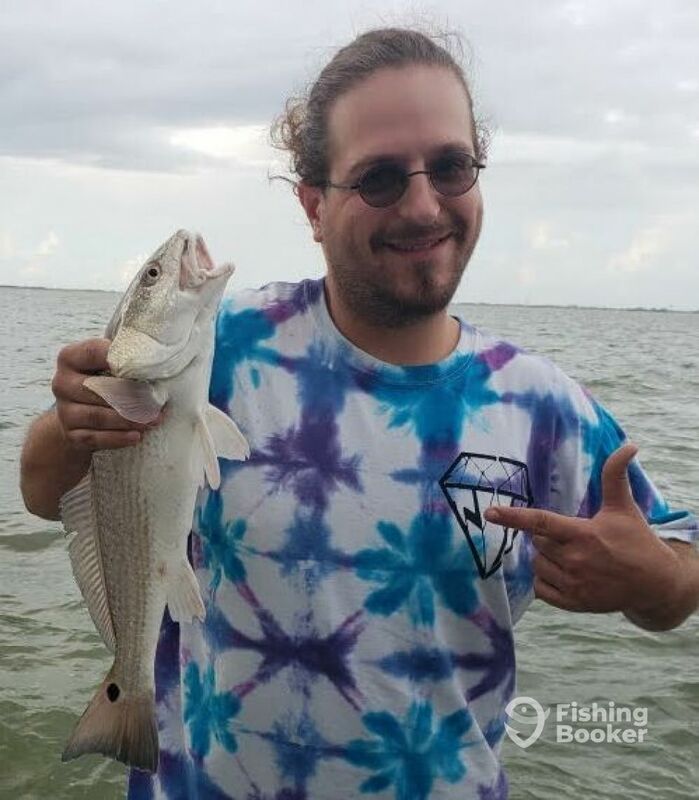 Captain Jay is a fish whisperer and true fish master. His boat is awesome. Believe me when I say he calls the fish because wherever he pointed to cast in the bay or under the causeway bridge, we were catching fish. 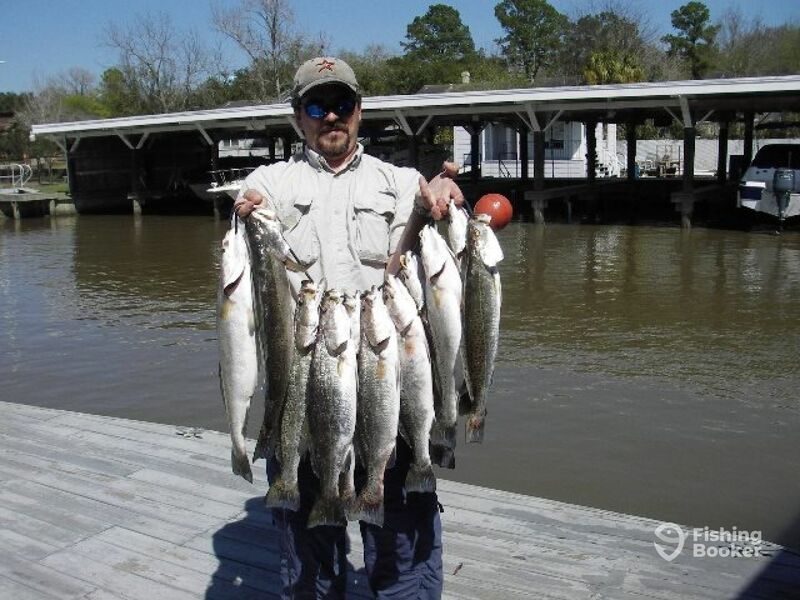 I wish they were all keepers but 14 beautiful trout and redfish is nothing to complain about. Jay was patient, knowledgeable, and taught us a lot about fishing. We will definitely be fishing with him again. It was fun on a day we didn’t know if the weather was going to cooperate. You are the Skip Jack queen. 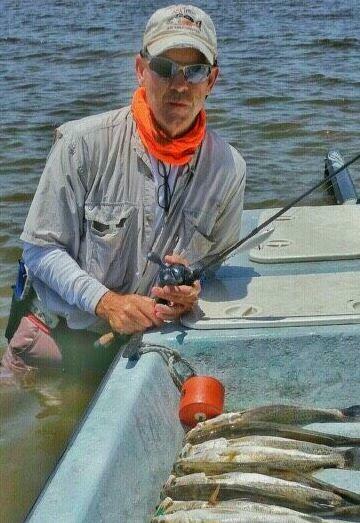 You must have caught a dozen of those big baby tarpons. It was fun on a day we didn’t know if the weather was going to cooperate. You are the Skip Jack queen. 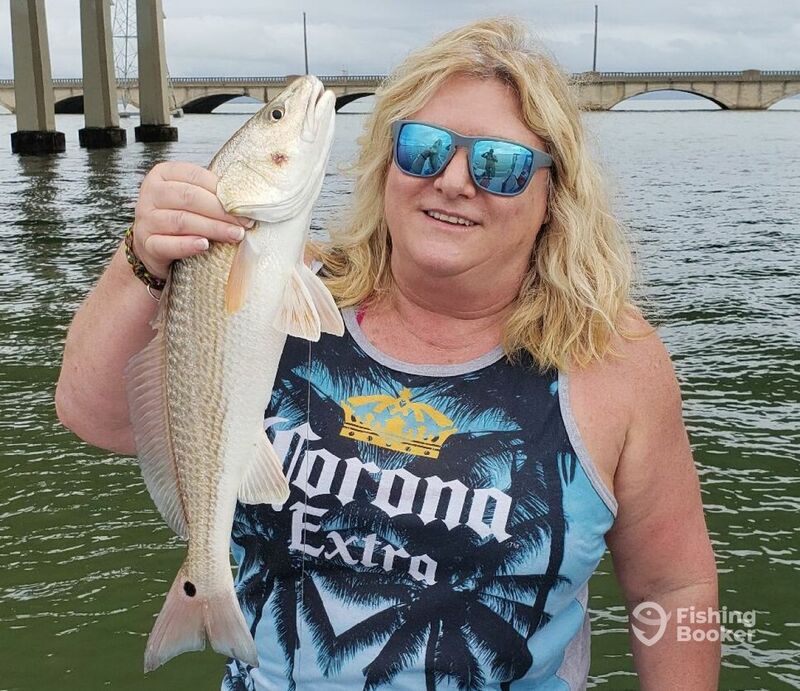 You must have caught a dozen of those big baby tarpons. It was great to be with Captain Jay. 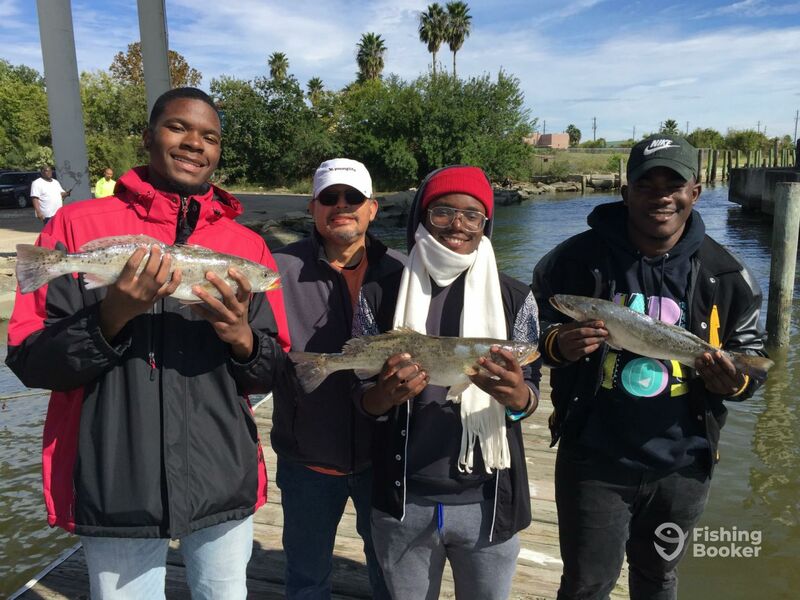 TSU students had a great time catching their first of many fish. Thanks for donating this trip to these students! They had the best time of their lives. Thank you George. We had a great time. Cant wait to take another group of kids out. 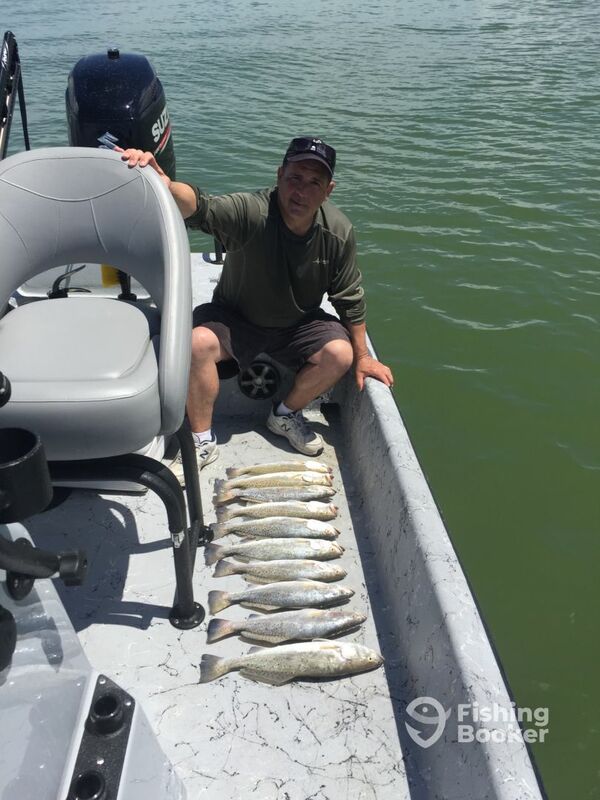 It was a great day of fishing with Captain Jay. Thanks for guiding us. It was lots of fun. Next year we will win the tournament. Thats guys it was fun fishing with yall again. If it hadnt got so hot we could have caught a lot more fish. THANKS MAN It was a lot of fun Michael If it hadnt got so hot we could have caught a lot more fish.